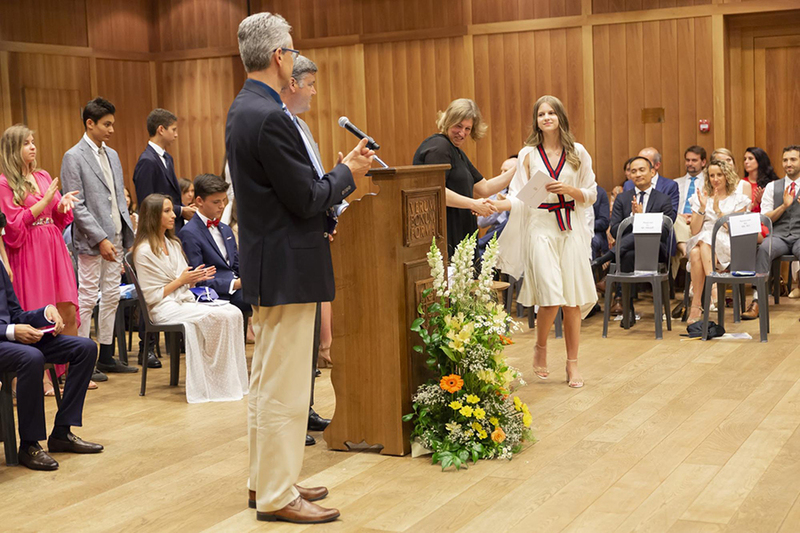 The 2018 TASIS Middle School Moving-Up Ceremony was held in the Palmer Center on the afternoon of June 5. The ceremony, which commemorates the passage of students from Middle School to High School, included remarks from Headmaster Christopher Nikoloff and Middle School Dean of Student Affairs MJ Breton, three excellent student speeches, the announcement of awards, the presentation of graduation certificates to 56 students, three lovely musical selections, and an end-of-the-year slideshow. The ceremony can be viewed below. 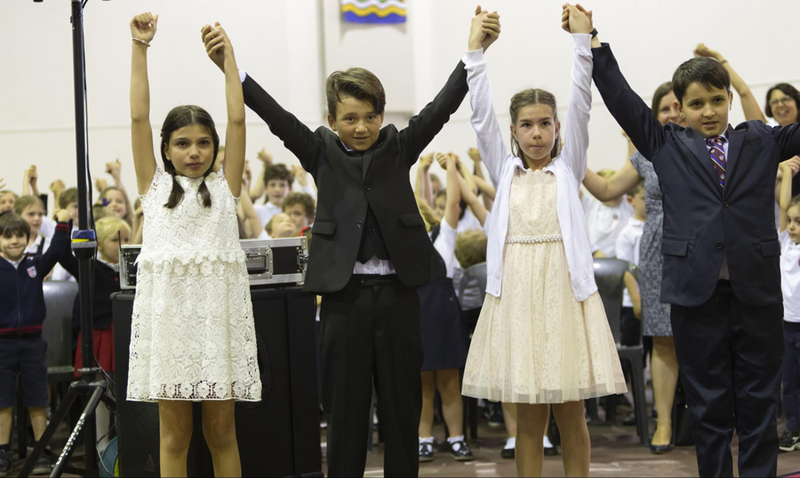 On the morning of June 7, the Elementary School held its Moving-Up Ceremony in the Palestra to say goodbye to the 26 students who will be advancing to Middle School next year. The full ceremony, which included remarks from Mr. Nikoloff and Elementary School Head Theresa Cullen Hill, three beautiful musical performances, and the presentation of diplomas, can be viewed below.